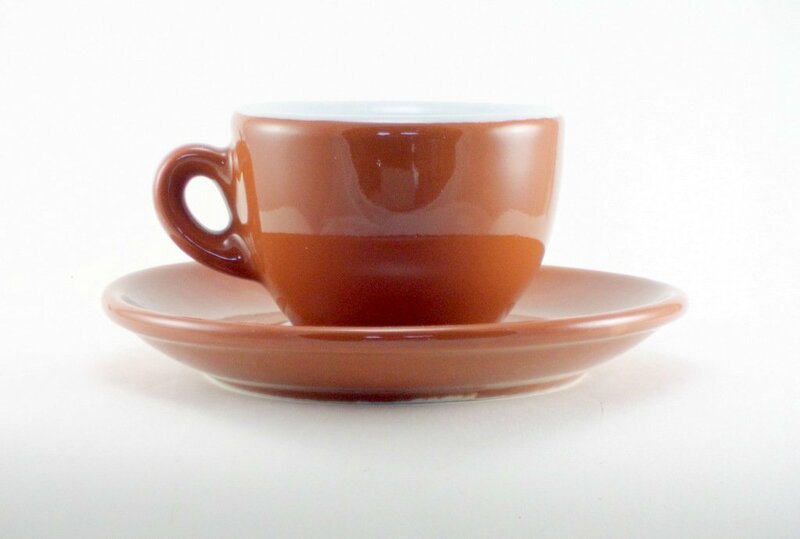 The traditional deep brown color and white interior of these eggshell-shaped set of six ultrapremium porcelain demitasse espresso cups and saucers remind us of the traditions behind great espresso coffee. Like the other NuovaPoint products we carry, these heavyweight Italian-made cups retain heat and resist breakage much better than do comparable ceramics (thats the benefit of porcelain!) and feature an extra thick cup wall to help open the palate for an enhanced espresso taste experience. A beautiful expression of your coffee pleasure. Click the button below to add the Nuova Point Sorrento Brown 6 piece Espresso Cup and Saucer Set to your wish list.